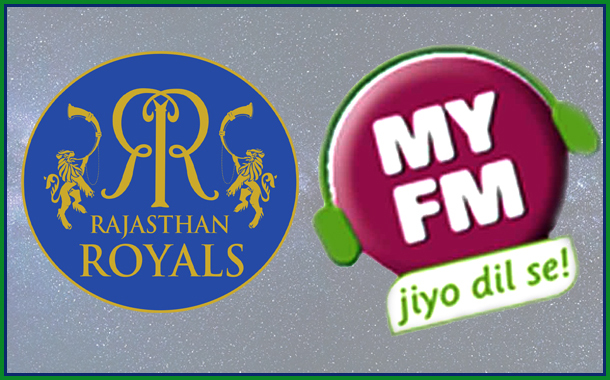 Mumbai: MY FM and Rajasthan Royals have partnered for the on going IPL season. MY FM is the official radio partner for the team. As part of the partnership, the radio station will be hosting a series of activities and campaigns running across various platforms that will include on-ground activities and on-air initiatives. The content will primarily be driven by its Jaipur station and Rajasthan network of MY FM. The collaboration is aimed at resulting in a creative, innovative and a mutually beneficial partnership. For this association MY FM has planned an on-air festival of cricket with innovative programming to help bring cricketing heroes to the listeners. From giving away match tickets and original merchandise, to organizing meet and greet with players, listeners get an opportunity to be a part of the Fan Army; there will be endless activities taking place. There will be an online contest as well for listeners to win tickets to the match.